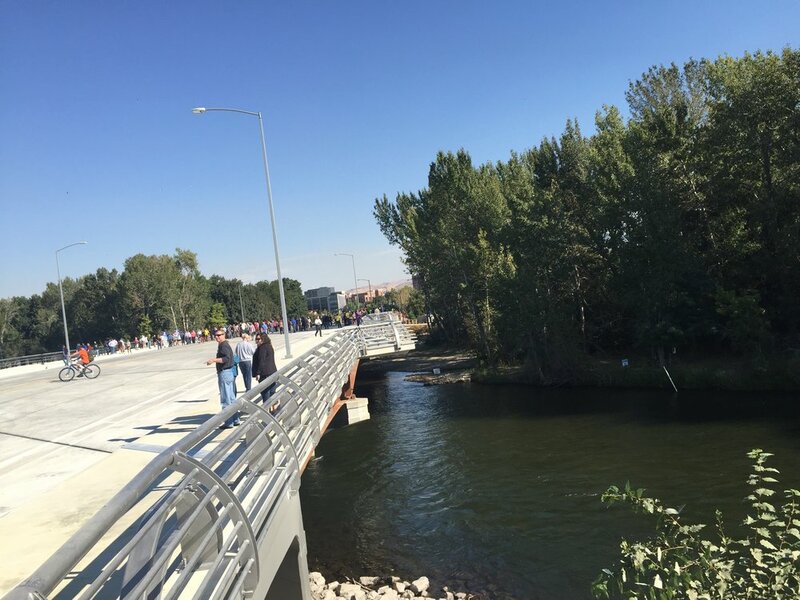 BOISE – On one of those crystal blue sky Boise mornings that remind us all why we live in the Treasure Valley, several hundred people gathered for the opening of the Broadway Bridge. The bridge cost taxpayers $20.1 million. 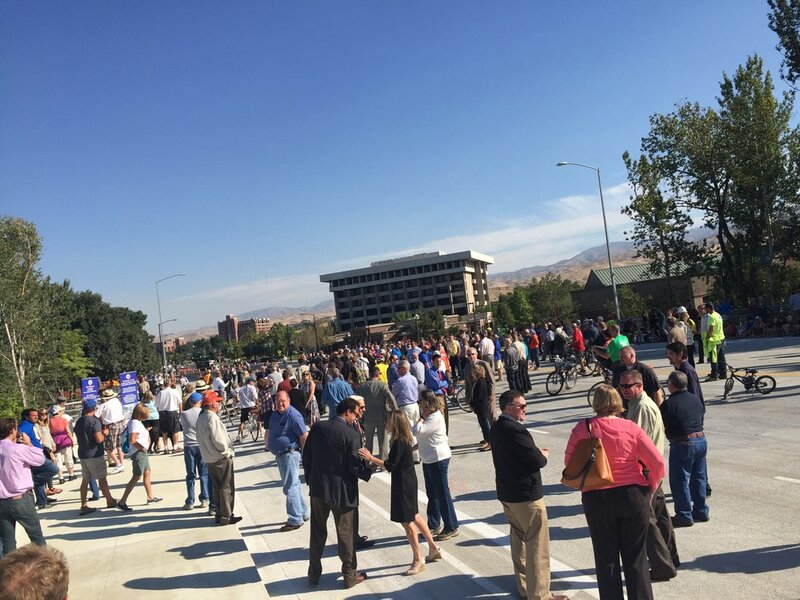 An ITD spokesperson was checking on BoiseDev.com’s request to see if the project was on budget. 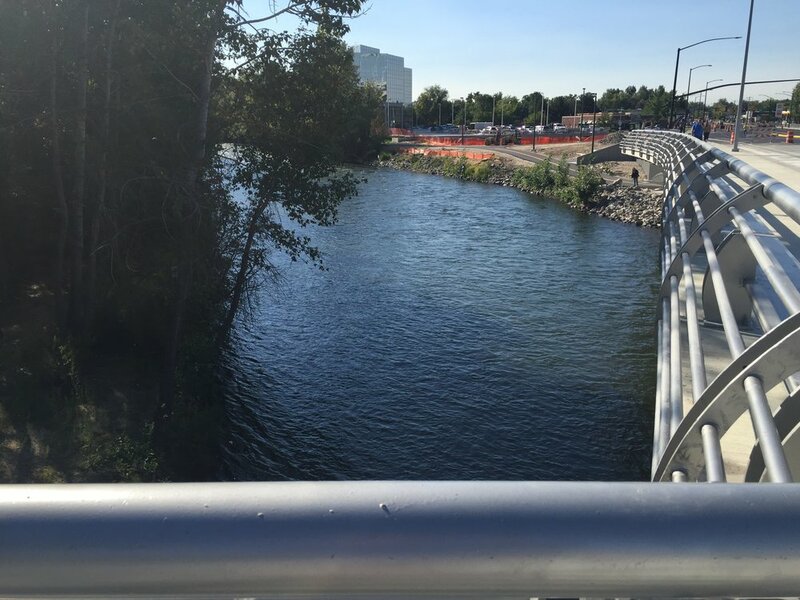 Before the project, the cramped bridge featured just four traffic lanes, no bike lanes and very cramped five-foot-wide sidewalks. 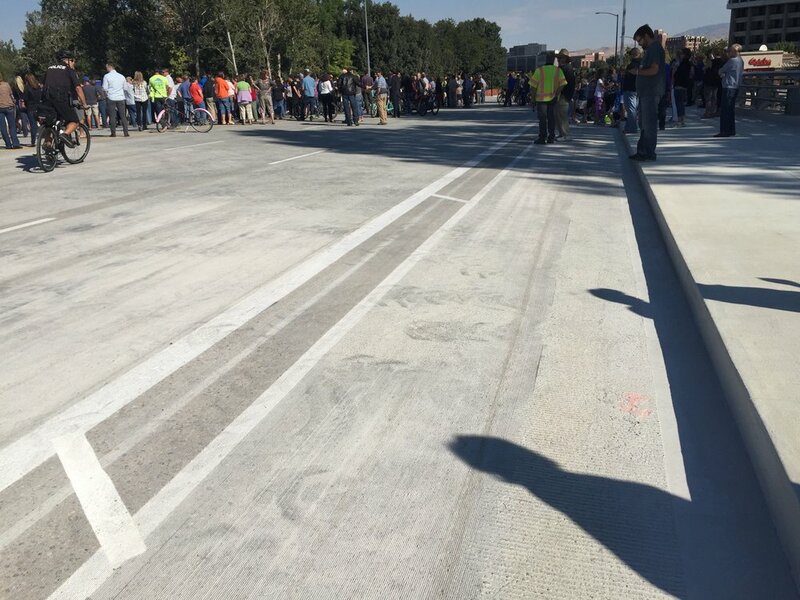 The new structure has six traffic lanes for cars, plus six-foot wide buffered bike lanes. 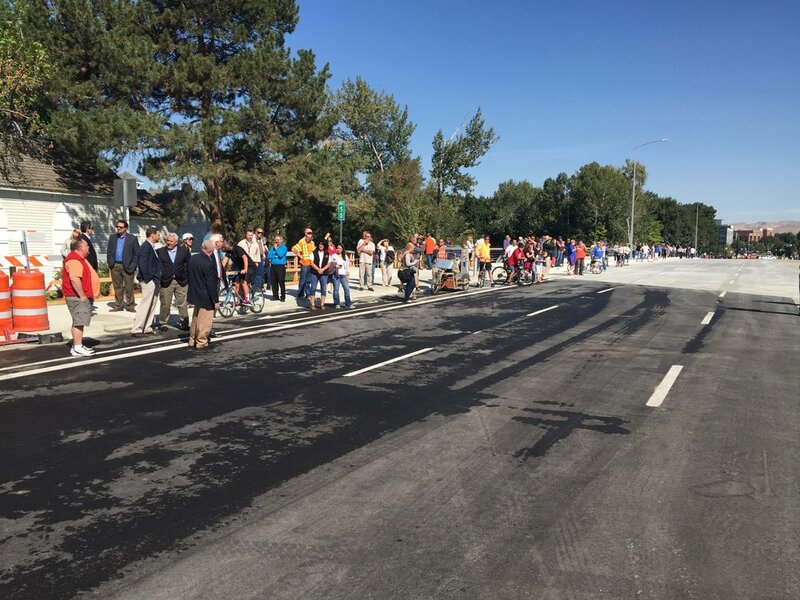 In addition, the tiny sidewalks that were so cramped on Boise State game days are now ten feet wide. 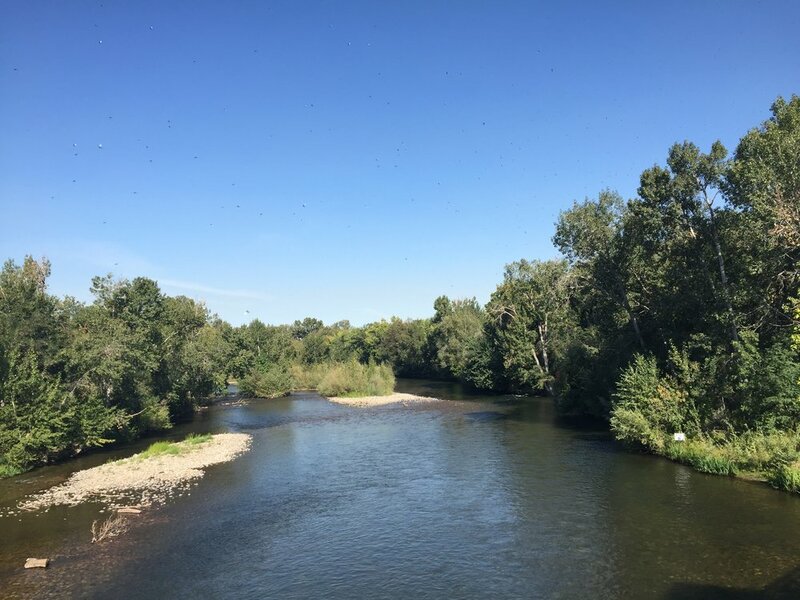 Plus, piers jut over the river – three on each side. 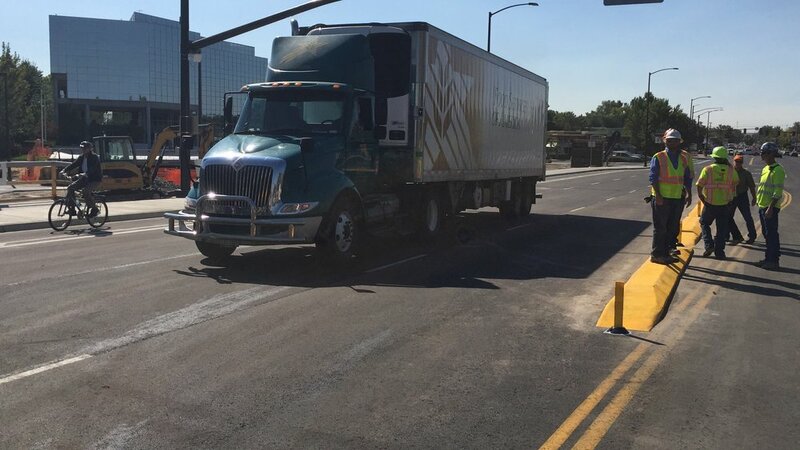 The experience for pedestrians, cyclists and motorists will all be greatly enhanced. 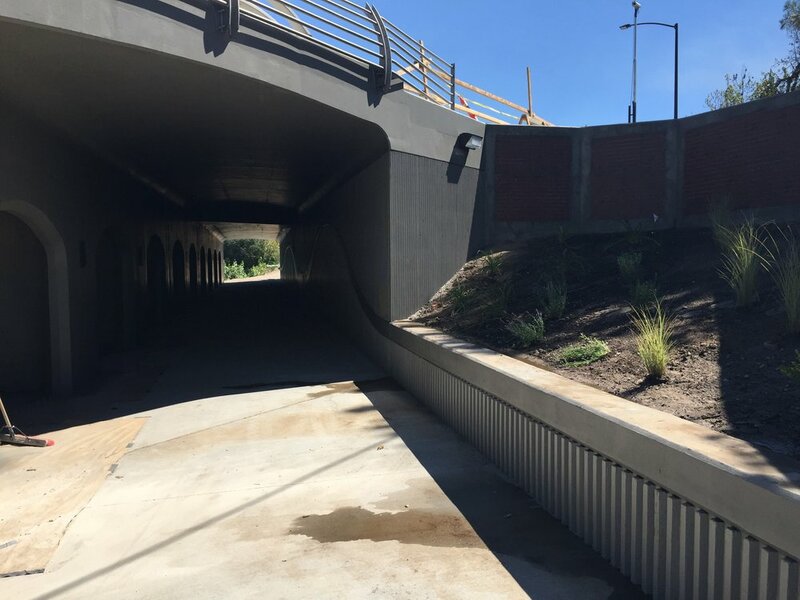 In addition to the lit handrails, ITD notes that it has upgraded lighting on the underside of the bridge to better light the Greenbelt path. “People all across or Valley are loosing bets today! 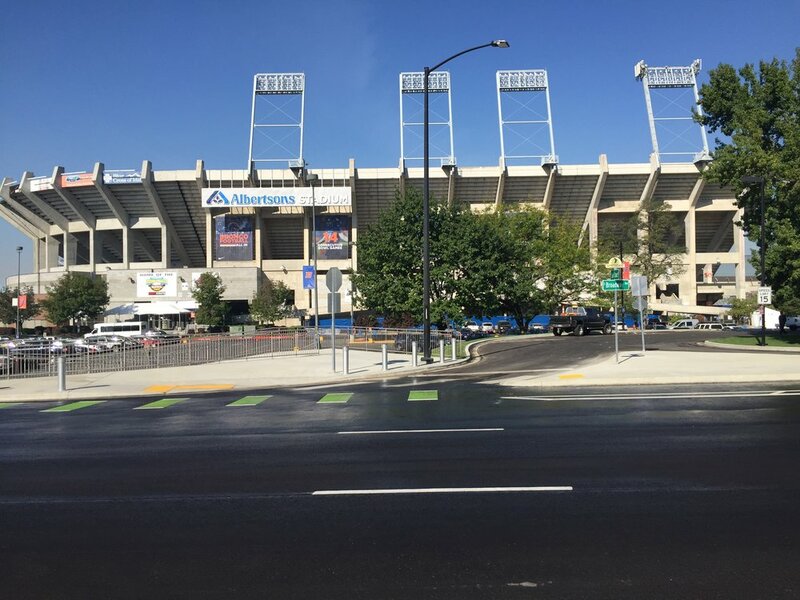 People bet this wouldn’t be ready for the home opener,” Boise Mayor Dave Bieter said. 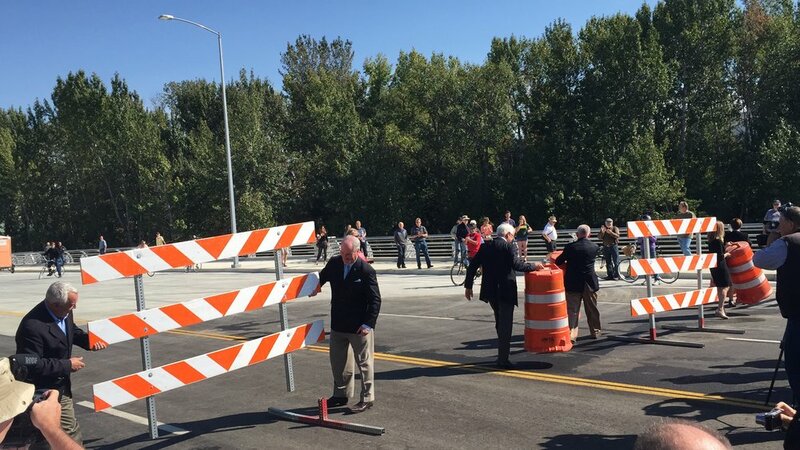 Bieter noted he snuck on to the bridge earlier this week — said he had to pry the barricades open to get out on the other side. The project started earlier this year, and ITD took an approach it called unique. 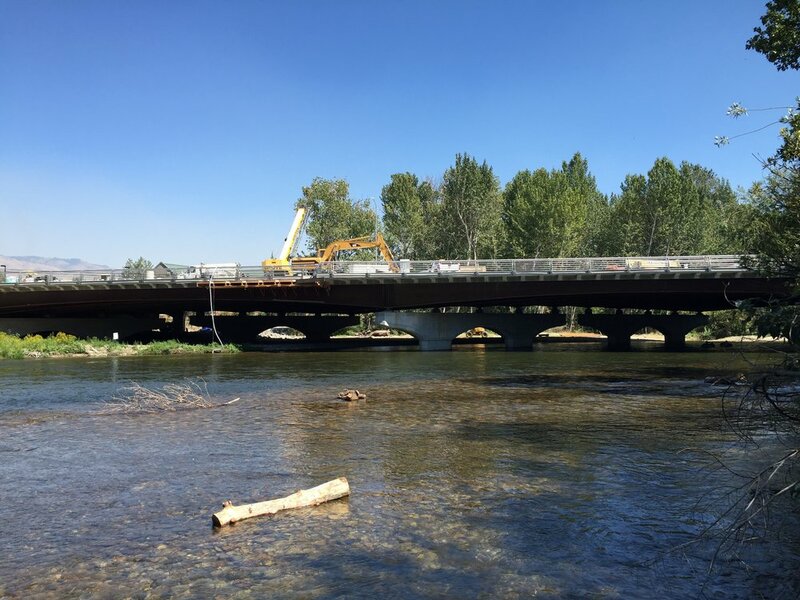 “I’m not so sure I’ve seen too many projects to in my lifetime show up as on time as this one,” Boise State president Bob Kustra said. 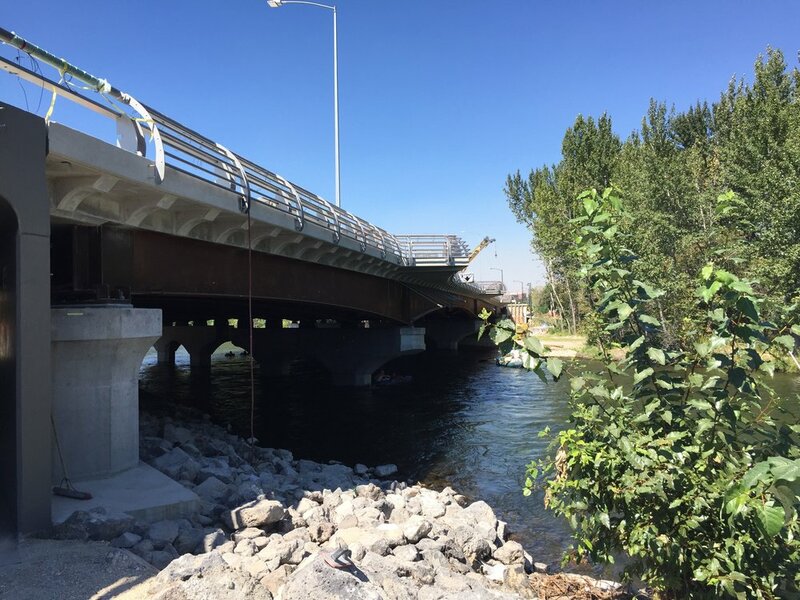 The Boise Metro Chamber of Commerce hailed the importance of the bridge. 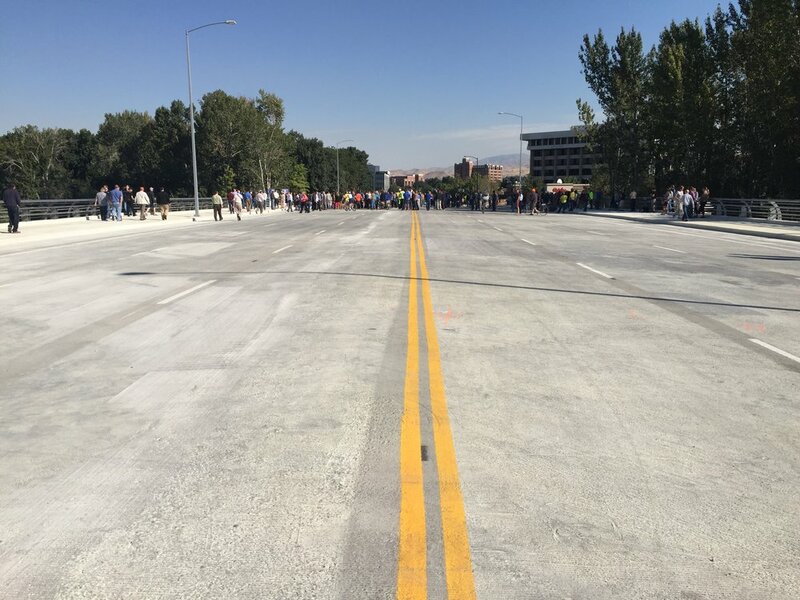 The bridge is open as of 1 p.m. Friday – just in time for Boise State’s home opener against WSU.